Here is a list of some of the most powerful protests in the world of sport. “Bread and circuses,” as Juvenal said, are the best way to distract and occupy the attention of the masses. What better way to get people’s attention than to interrupt the thing they used to neglect? Here is a list of some of the most powerful protests in the world of sport. 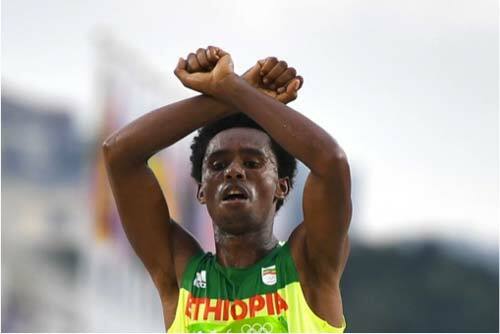 As silver medallist Feyisa Lilesa crossed the finish line of the 2016 Rio Olympics Men’s Marathon he raised his hands above his head and made the sign of an “X”. Lilesa was protesting against the Ethiopian government’s killing of hundreds of the Oromo people. According to Human Rights Watch, more than 400 people have been killed since November. The “X” symbol has been used by the Oromo for some months now. Social media in Ethiopia and around the world jumped to support Lilesa and he has put the plight of his Oromo people into headlines everywhere. Hopefully his protest will not be in vain, or cause him harm, but only serve to shine a light on the ongoing protests in Ethiopia. At the medal ceremony for the 200m at the 1968 Olympics, American athletes Tommie Smith and John Carlos mounted the podium to collect their medals (gold and bronze respectively). 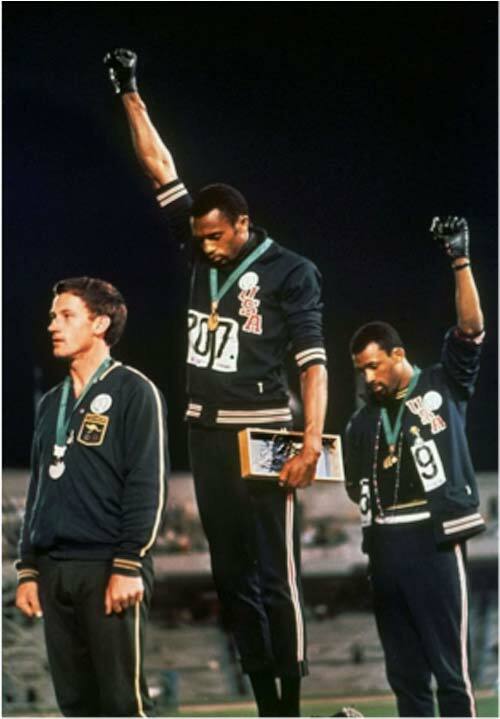 As the American national anthem began to play, each athlete raised a black-gloved fist to make the “Black Power” salute. Unlike most people watching Feyisa Lilesa’s political gesture, everybody knew what Smith and Carlos were saying. Muhammad Ali refuses US Army draft. 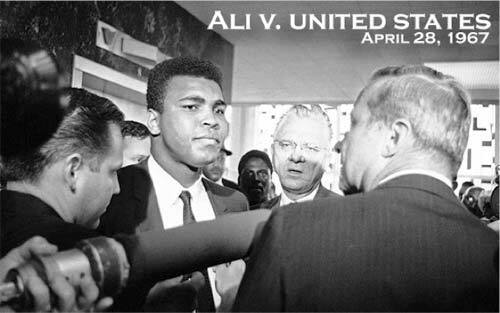 Ali was convicted of draft evasion, sentenced to five years in prison, fined $10,000 and banned from boxing for three years. In 1971, the U.S. Supreme Court overturned his conviction. The U.S. lost in Vietnam. Ali won the admiration of millions the world over. 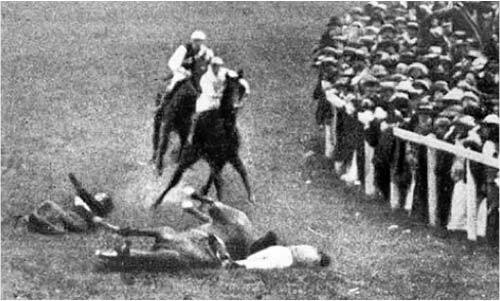 At the Epsom Derby in 1913, militant political activist Emily Davison fatally threw herself into the path of King George V’s horse, Anmer. Davison was a suffragette who had fought for years to try and earn women the right to vote. 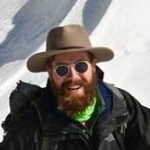 There is much historical controversy over Davison’s actions that day. It is unlikely she intended to martyr herself as she had a return ticket from Epsom and had made plans with her sister to travel together. In the documentary Secrets of a Suffragette, digitally remastered footage of the event suggests that not only may she have targeting the King’s horse specifically, but that her intention was actually to attach a flag to the horse’s bridle. Police reports suggested two flags were found on her body. Next articleHow Often Do You Really Need To Stretch?